Unlike your other home appliances, when you encounter a problem with your refrigerator, it really isn’t something that can wait. After all, a broken fridge can easily result in spoiled food and hundreds of dollars out the window. Now that you’ve checked the thermostat, light, and power source, you can officially come to the conclusion that there’s something seriously wrong with your refrigerator. So, where can you go from here? You need to get your fridge up and running as quickly as possible, and this unexpected inconvenience certainly wasn’t something you had planned for financially. If we’re strictly talking pricing, is it better to repair your refrigerator, or replace your fridge altogether? Read on to learn how to understand the cost breakdown between a refrigerator repair vs. a full replacement, and how to find the best option to suit you and your family’s budget. Let’s get down to it - what should it cost you to repair your fridge? According to Home Advisor, the average fridge repair cost ranges anywhere from $200 to $400. The actual price you’ll end up paying depends on several factors, such as where you’re based (i.e. big city vs. rural town), the amount of labor required, and the parts needed to complete your repair. Puls provides refrigerator repairs starting at just $139, well below the national average price. In addition to being the much more affordable option, repairing and reusing your fridge is significantly better for the environment. And, with the right refrigerator repair service, it will be much faster and easier than purchasing and installing a brand new fridge. While we’re big advocates of the right to repair, and repairing a fridge is much cheaper than replacing one (we’ll get into specifics in a second), there does come a time in which a full replacement is the adequate option. When is that, you might ask? Typically, your fridge is built to last a long time - around 10 to 15 years, on average. With the proper care and maintenance, it can even last you 20 years or more. As such, if you’ve had your fridge for a good 20 years (or much more), it’s probably time to replace it altogether. Unfortunately, a new fridge ain’t cheap. The average cost for a refrigerator replacement can run you anywhere from $500 to $3,000 and up. 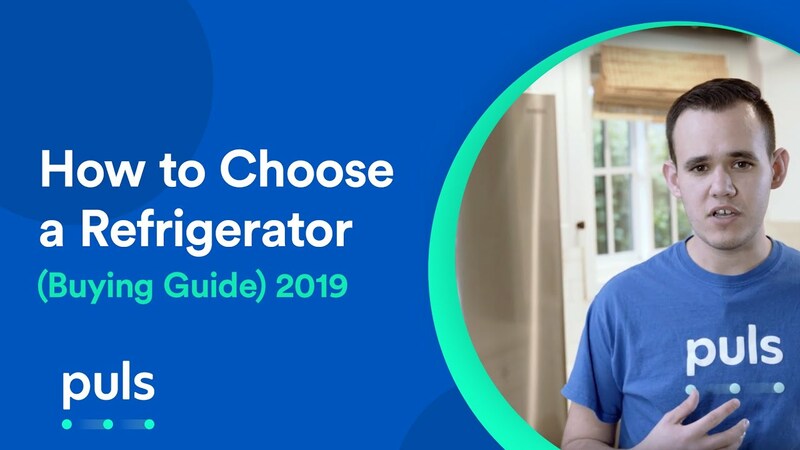 If you’re seriously considering buying a new fridge, check out our refrigerator buying guide below for some useful tips. At the end of the day, a refrigerator repair costs you much less, is better for the environment, and will save you a tremendous amount of hassle and headache. Whether your refrigerator is warm, not cooling, or leaking, Puls is here to make all your fridge repairs easier than ever. For just $79, our refrigerator repair experts will come diagnose your fridge within as soon as the very same day. If you decide to move forward with our recommended repair, we’ll throw in our inspection for free. With skilled, vetted technicians and repair prices starting at just $139, well below the national average, we provide tremendous bang for your buck. Additionally, all Puls refrigerator repairs come backed by our 90-day guarantee on parts and labor, so you can feel confident your repair is done right the first time around, and stay covered long after. For a limited time only, get $20 off when you book online with the code: SAVE20. We’ve got your back - schedule a service now and you’ll be on your way to a fridge that’s like new in no time.